Probably the most vicious man-eaters that ever swam the oceans...he-he, just kidding. Whale sharks (local name, Butanding) are perhaps the most harmless, if not the biggest fish on the planet. They can measure as long as 40 feet with mouth big enough to swallow you whole (if it mistakes you for a krill, its food staple). 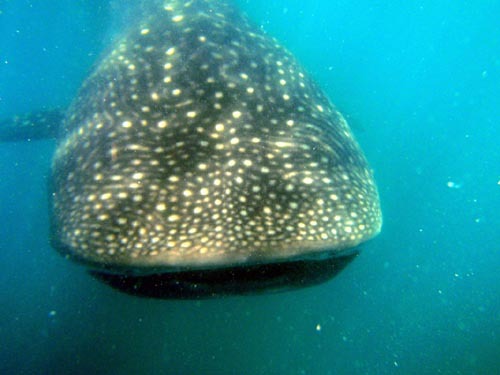 The whale sharks have always defaulted on Donsol as part of its migratory route. 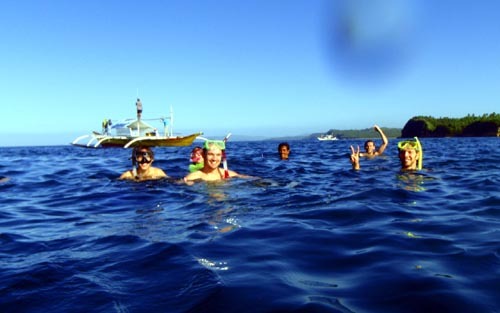 The locals have long hunted it for food and commerce until eco-tourism developed and they realized they can make more money by having tourists swim with them instead of having the butandings on the dinner plate. 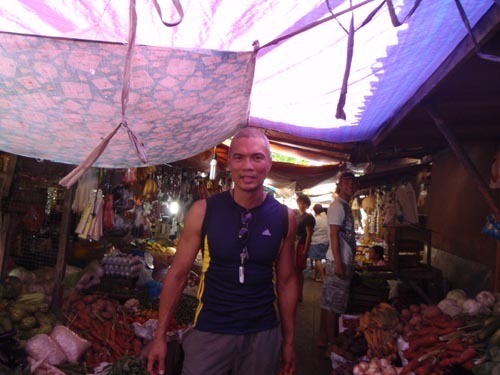 Additionally, I wouldn't be surprised if there's a local ordinance outlawing the slaughter of whale sharks given the growing number of conservation efforts. It's almost like an adventure novel by the likes of Hemmingway or Thor Hyerdahl: swimming with the whale sharks as big as a bus! How cool is that? The reality is, whale sharks are harmless and sometimes even playful to divers. One diver who stayed one more day told me a whale shark lay motionless on the surface, allowing the divers to get close and play with it. 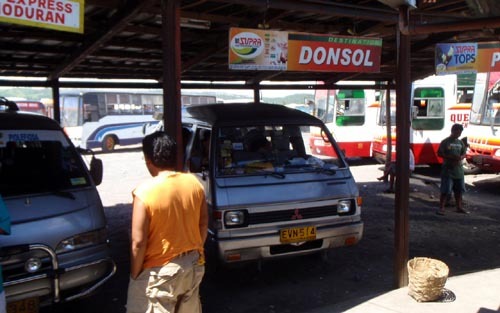 I've made several attempts in the past to go to Donsol for just that, but nothing came out of it - too expensive, no time, missed the time frame, etc. 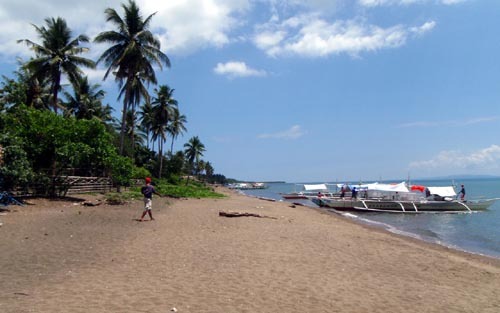 Apparently, the whale sharks only linger in Donsol from Dec to early June. However, with Cebu Pacific's Go Lite program, it only cost me P431 round trip - Manila-Legazpi-Manila. 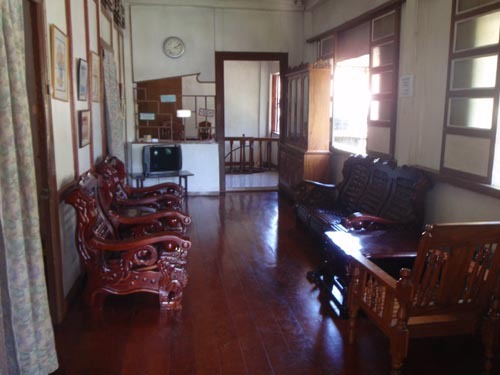 That's right, it's cheaper than a one-way bus fare to Bicol. I couldn't find an excuse this time not to make the trip. 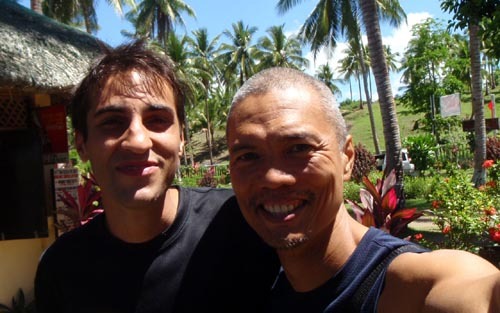 I hooked up with 2 travelers to save up on lodging. 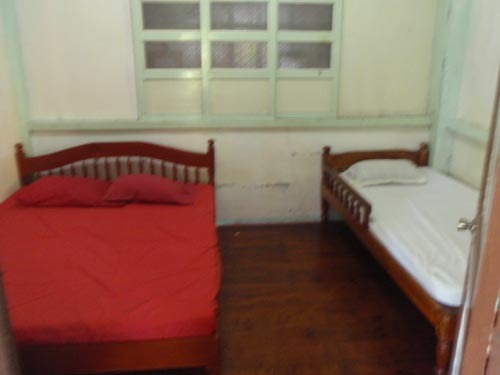 A spacious room for 3 at Santiago Lodging cost P400. That's just P133/head...not bad. Alone on a fan room would have cost me about P300. 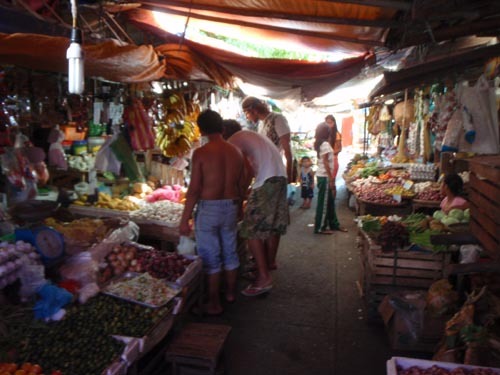 We stayed together for the boat dive and pooled our resources to buy fresh goods from the market to cook ourselves. It was a cheap way to do things, not to mention we ate better. 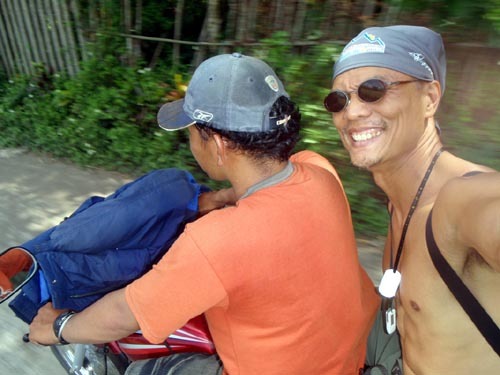 I used to hook up with fellow travelers during my early days of backpacking. It felt nostalgic to be doing it again. A boat can carry as much as 7 guests. The good thing is, the tourism office pools you with other people until the boat is full. As a lone traveler, I like that. I wouldn't want to pay the entire P3500 simply because I'm alone and couldn't get anyone to join me. 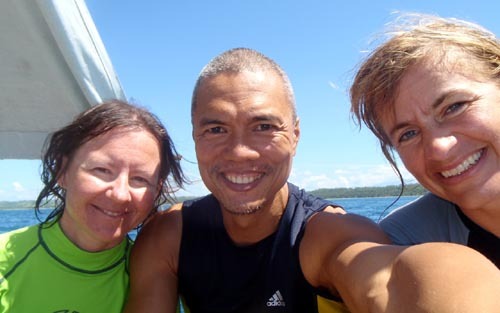 It's another short boat ride to the jaunt of the whale sharks. 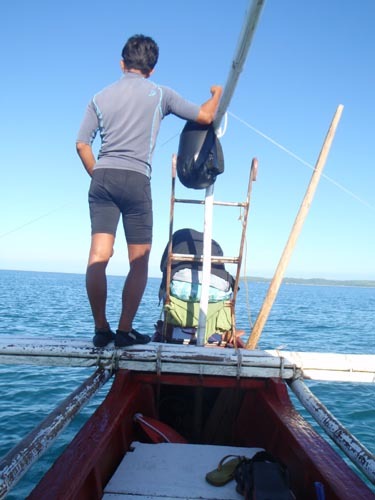 There are 2 boat spotters and a BIO (Butanding Interactive Officer) on the boat. 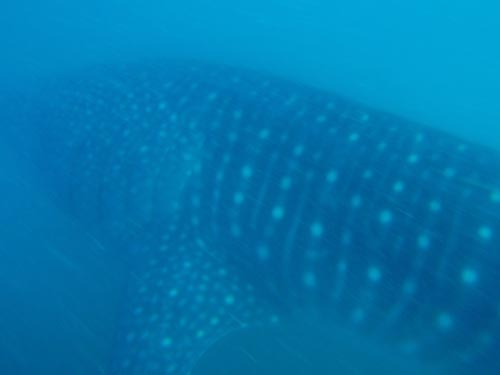 When they spot a whale shark, they position the boat right smack on its path. 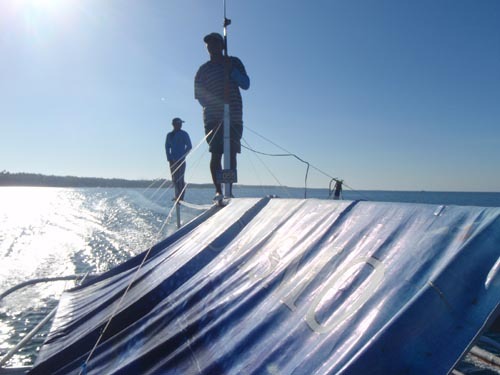 The BIO tells us to jump off the boat so we can head-off the whale shark. The interesting thing (and maybe frightful to some), is, upon jumping into the water, we didn't see anything. The water's visibility is limited to maybe 15 feet. The whale shark swims pretty fast. Before we knew it, we just saw a big head approaching us with a wide gaping mouth! If we're on its way, it won't swerve. It'll continue swimming through us. You don't want to get caught in its mouth so we all scurry up the surface to give it way. Then we swim with it until it dives deep or we tire out, whichever comes first. 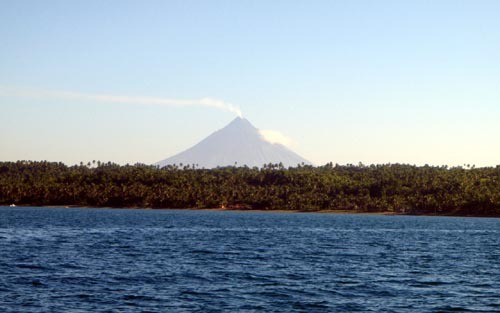 It's awesome to be diving down with them and come up with the majestic Mayon Volcano in the backdrop...you can't beat that! For the 3 hours we're at sea, we saw about 7 whale sharks. That's really enough for me. It gets old and repetitive after that. 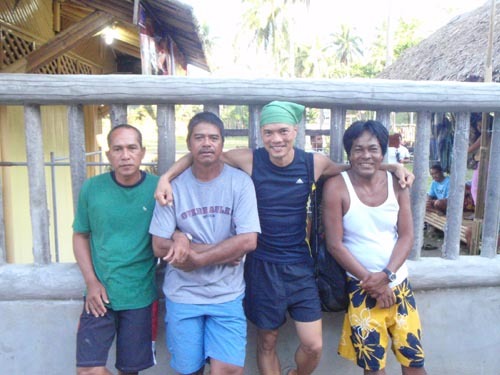 That's also why most divers stay only 1 day in Donsol and head off to the next destination. Thought bubble: hmmm...the tourists are already there with revenue dollars for the local economy. 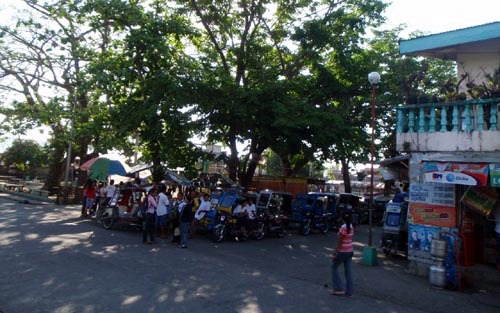 Why not add more attractions to Donsol to make them stay a little longer? 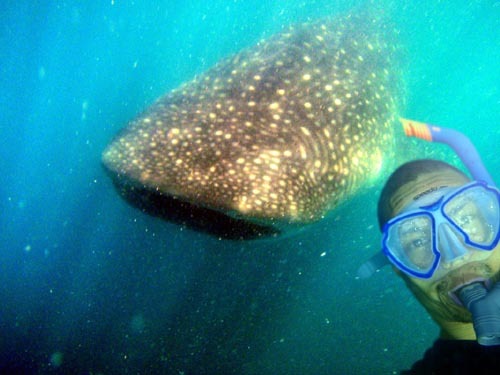 If I were to prepare a list of 100 things to do before I die, swimming with the whale sharks is definitely one of them. Having done it, it's now time to do the rest...hmmm, come to think of it, I don't have a list yet. Now, that's a good project. Hey, how about you? What's on your list? Good you finally got to see the whalesharks. Did someone tell you about the firefly tour along the Donsol river? You should have taken that one. Very interesting to see the fireflies congregate at dusk. You'll them blink randomly at first but after a while they start blinking in unison. As in hundreds of them. Makes you wonder how they communicate to do that. 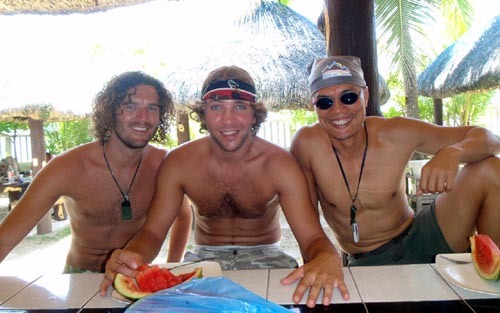 (Jun 6, 2009) great pictures! gusto ko din to!